Hydraulic Equipment Winkler, Manitoba, CA | TimRick Welding & Machine Ltd.
Timrick was started by two people, Tim Rausch and Rick Galuschuck. Therefore – the name Timrick. They only worked together for a few years and Rick went his own way to farm and doing other things and Tim became the sole owner of Timrick. Prior to starting his own business, Tim had worked for a company building and designing gravel crushing spreads. He was the manager at Kamsack Manufacturing. He then came back to his home town and started Timrick – a welding repair shop. After his partner left he kept the shop and for the first few years he was predominantly doing welding repair work, for the ag and forestry industry. It was during that time that he became acutely aware of the problems with the Hood Slashers, so he decided to build his own slasher, and incorporate and deal with all the problems he had seen. This was the beginning of the Timrick Mobile Slasher. Tim went on to build and sell on his own mobile slashers which became the Cadillac of the market. They were a higher production machine with less fuel consumption and operator friendly. He sold 55 machines between 1996 and 2005. All produced in Swan River, Manitoba. The main market was Ontario. This was where he became so involved and interested in hydraulics. He not only built the machines structurally – but Tim and Bosch Rexroth designed the hydraulic system for the slashers. A load sense – pilot operated system. 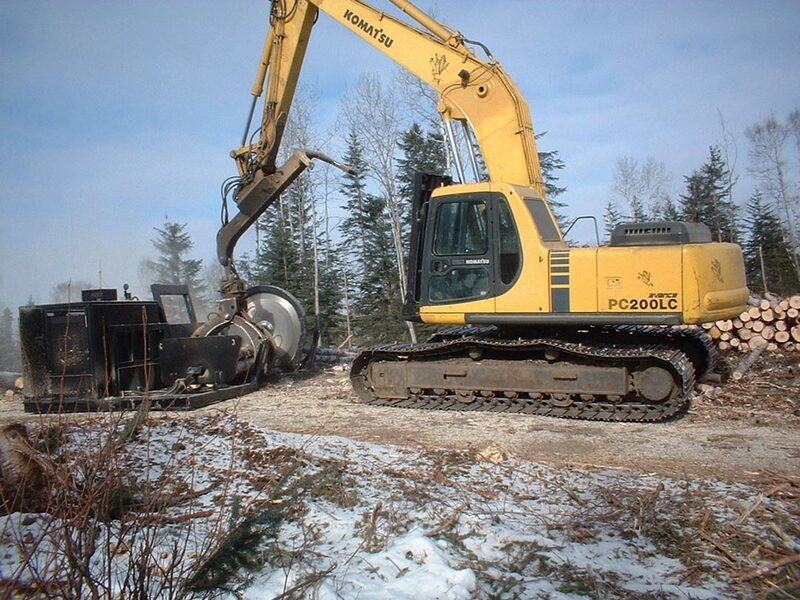 From there it was a natural and gradual switch for him to be doing more hydraulic repairs than welding, so when the forestry market took a major down turn in 2005 and 2006 for a few years he quite manufacturing and when to hydraulic repairs and hydraulic system designs. This is now our company’s major repair type, hydraulic pumps, motors, and system operations. We have a 200 HP test bench for testing pumps and motors, and work on many brands. We fix & repair, and supply new. We have a full bore machine shop, lathes, milling machines, cylinder tear down bench; we can manufacture and repair hydraulic cylinders, line boring, and many different types of repairs done, but very little welding, but the name is well known and is still Timrick Welding & Machine Ltd. The other portion of the shop is hose and adapters, bearing sales, bolts, hydraulic components, we have the largest selection of hose and adapters outside of the perimeter if Winnipeg, and service a very large area. This all started from needing parts for our repairs and wanted name brand – high end replacement parts and not the “off shore” cheaper parts. Many of our customer’s started asking us to search out and stock items for them as they also wanted name brand items, with quality. That is how our parts store started and has been continually expanding ever since.